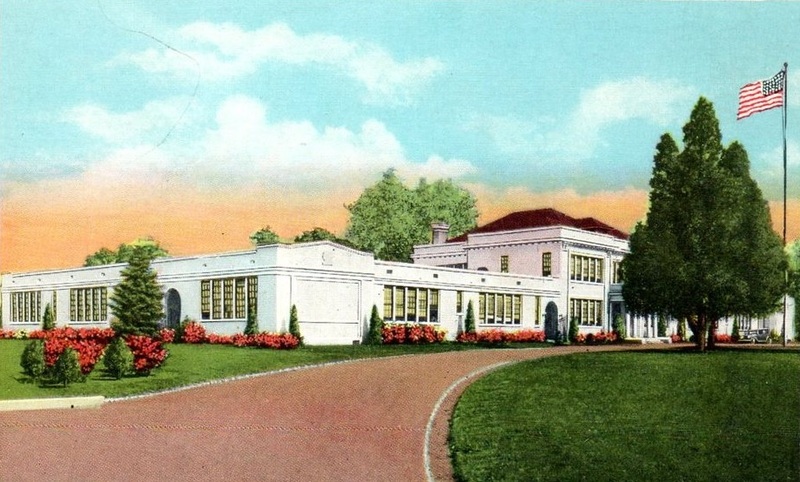 Wynnton School, Columbus, GA, late 1920s. Postcard (no. 28 in a series on Columbus landmarks) printed in 1930 by Curt Teich Co., Chicago, IL, from artwork provided by The White Company, Columbus, GA. As a third grader, Carson McCullers transferred to the Wynnton School in 1925, two years after the school’s current building was completed. As an adult, Carr writes, “Carson was almost as excited over Christmas as she was over birthdays.” She would become obsessed with worrying (for weeks) and choosing and giving “just the right present,” but her inability to keep a secret led to occasionally awkward situations. When her therapist, Mary Mercer, learned that McCullers was planning to give her a mink stole, she was appalled—not by the idea of owning a stole but by the cost of one. Unaware that the fur had already been purchased (and was actually not that expensive, as far as such things go), Mercer decided to confront her patient directly and told her that she “simply did not want a blond mink stole and would not wear it.” McCullers was “crushed,” Carr reports, and the ensuing misunderstanding and kerfuffle (which eventually involved several others and is too complicated to be detailed here) ended up with a cousin being struck from the will. 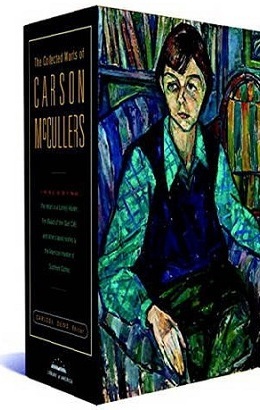 It’s hardly a surprise, then, that among the writings published during McCullers’s all-too-short career are four autobiographical pieces about childhood Christmas memories. She wrote her first yuletide essay in 1949. The piece was commissioned by Mademoiselle for a special “Home for Christmas” issue, and it appeared alongside offerings with the same title by popular food writer M.F.K. Fisher and novelist Jessamyn West, author of The Friendly Persuasion. In what strikes us as a fitting close to McCullers’s centennial year, we present her version of “Home for Christmas” as our Story of the Week selection. Note: One of the books Carson read during summer vacation was Hans Brinker; or, The Silver Skates: A Story of Life in Holland, an 1865 novel by American writer Mary Mapes Dodge. Sometimes in August, weary of the vacant, broiling after noon, my younger brother and sister and I would gather in the dense shade under the oak tree in the back yard and talk of Christmas and sing carols. . . . If you don't see the full selection below, click here (PDF) or click here (Google Docs) to read it—free!